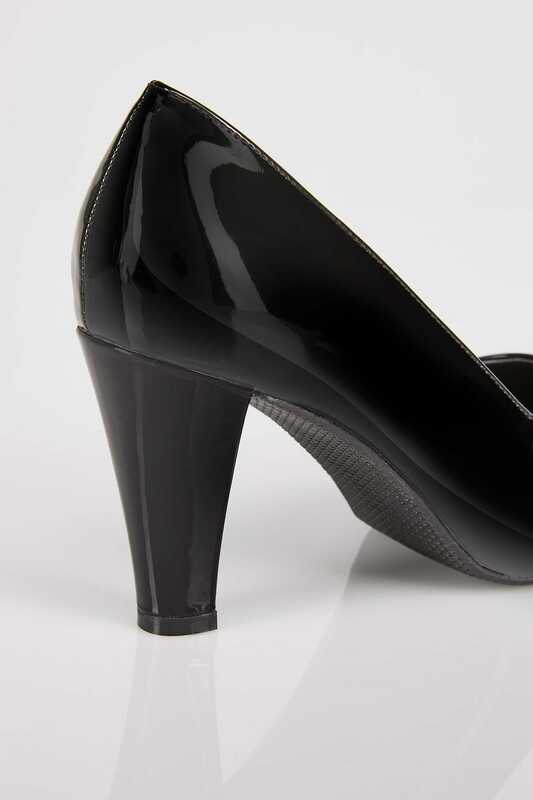 Update your office-to-evening line-up with these classic court shoes. 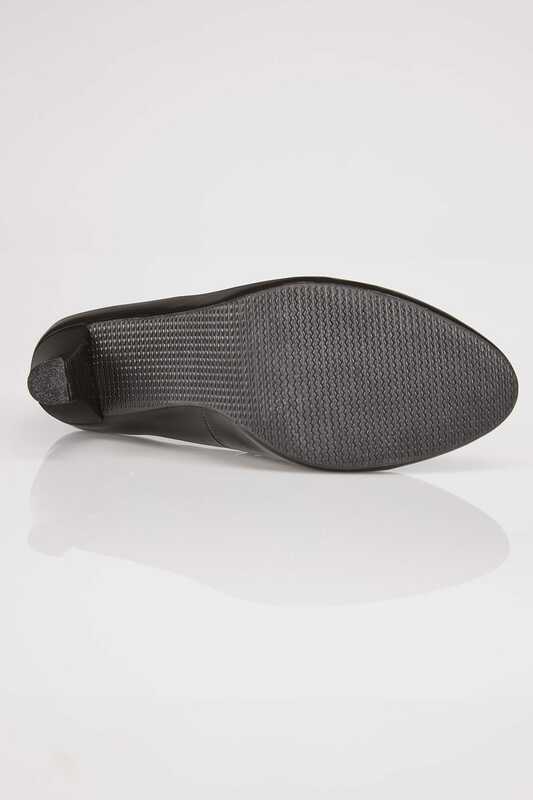 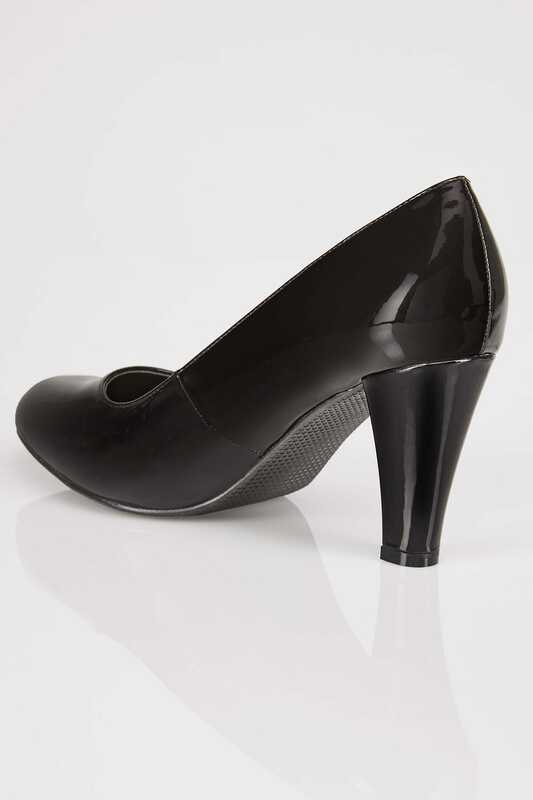 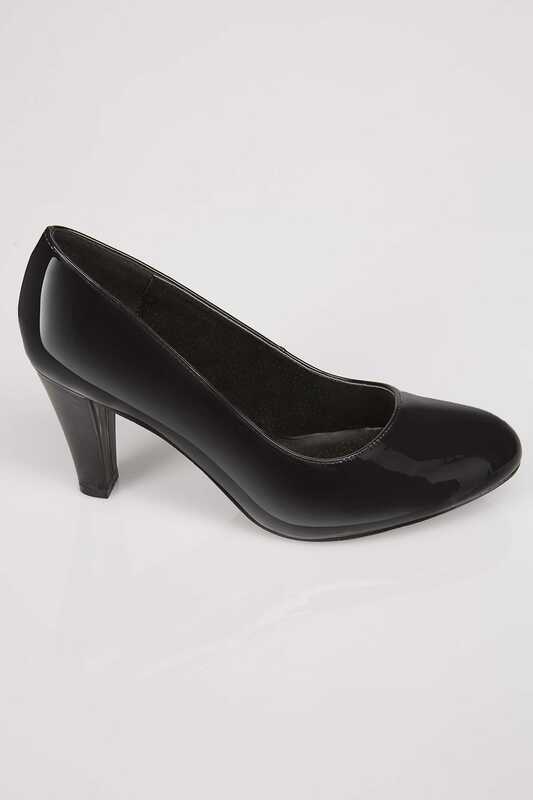 Designed with a sleek patent finish, they offer a rounded toe and a simple block heel. 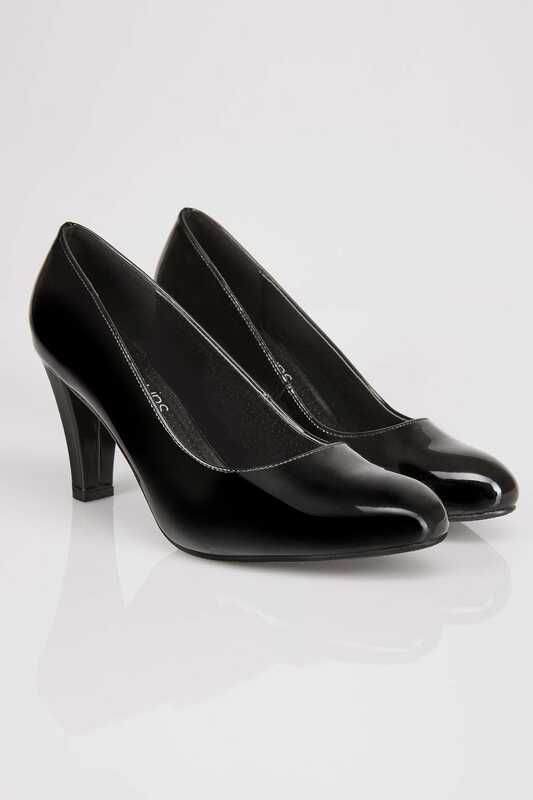 Style with a pair of tapered trousers and a woven blouse for an easy desk-to-dinner profile.